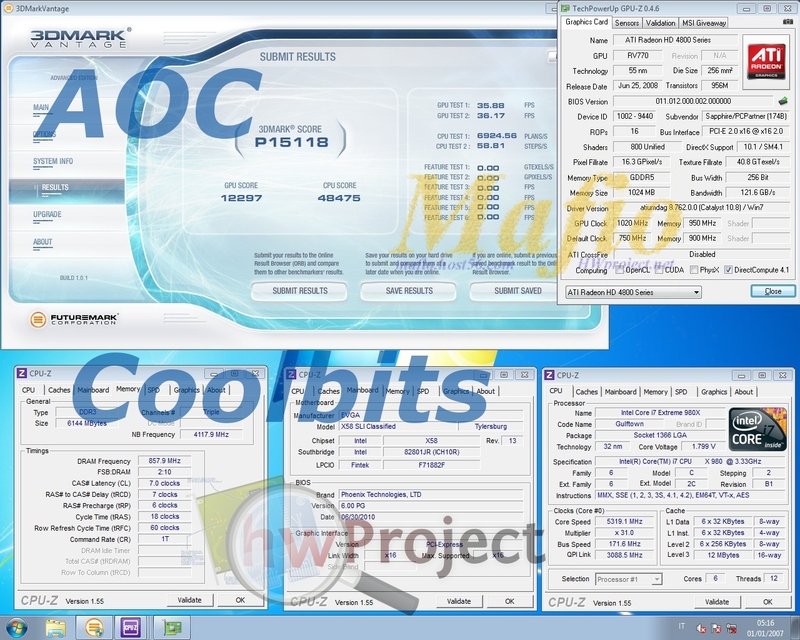 AOC + Coolbits + Mafio = 06 and vantage fun with HD4870 !! Yesterday I, Coolbits, The King and |ron met in Monza, we had 30 litres of LN2 and some stuff to test. The main objectives were to do a super-pi 32M, 06 and vantage with our HD4870. The limit for 32M with 1.83 volt was around 5.7 GHZ, unfortunately we can’t feed the uncore with more than 1.45 volt because of stability issue with higher voltage…then low uncore frequency. 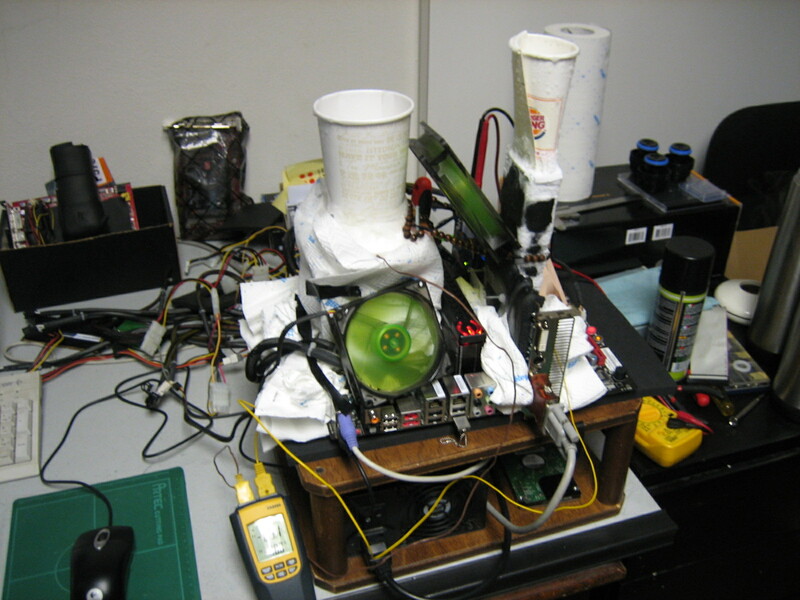 No matter what CPU PLL voltage we use, CBB and CB were both around -125°, not a great CPU. Not that great, but good enough for TOP 100 at 32M. Many thanks to |ron for the ospitality.